They've been installed in houses, apartments, condominiums, offices, restaurants, bars, palaces, resorts and luxury cruisers – and now the world-leading EcoSmart™ Fire is set to make its mark on outdoor living spaces with the official launch of EcoSmart™ Fire's versatile alfresco models. 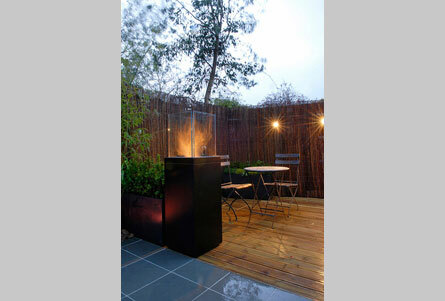 The newest models – Lantern, Cyl and Mini T – come hot on the heels of the hugely successful EcoSmart™ Fire Tower, which has been gracing outdoor living spaces since it was launched in 2008. 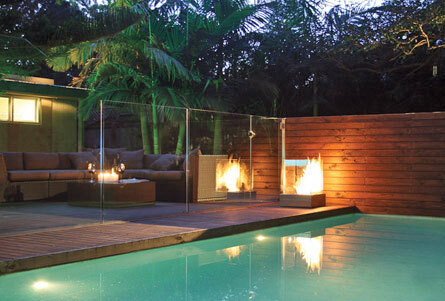 "We've had huge demand for outdoor EcoSmart™ Fire models, and have been working with our R&D team to develop specific models ideal for alfresco living," says Stephane Thomas, director of The Fire Company, creator of EcoSmart™ Fire. "The new models are testament to the versatility of EcoSmart™ Fires. 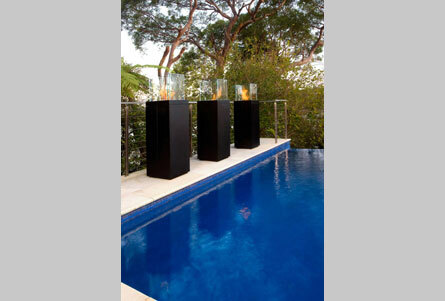 They're tough, weather resistant and portable, making them ideal for any outdoor and indoor space. 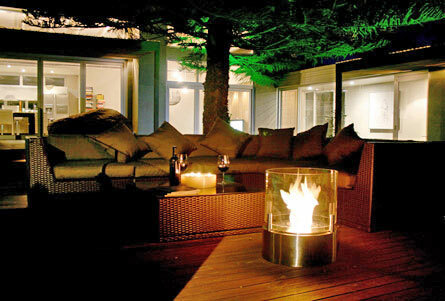 The focus is on bringing the inside out and enjoying alfresco living all year round." The Lantern, Cyl and Mini T are all ideal for garden and swimming pool areas, outdoor dining settings and commercial bars and restaurants. And as with all EcoSmart™ Fires, the new alfresco models run on Denatured Ethanol, a renewable energy.